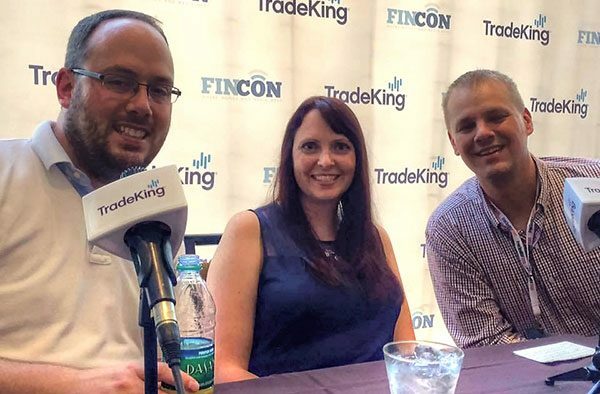 LIVE from the TradeKing Podcast Stage at #FinCon15, we talk to a host of great past and future guests about what makes someone a financial expert. We also talk about how much you can trust financial experts and discuss some really bad financial advice. 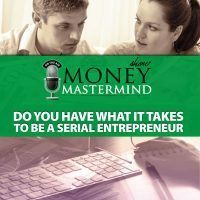 [0:00:08] MM: Welcome to this special episode of Money Mastermind Show. 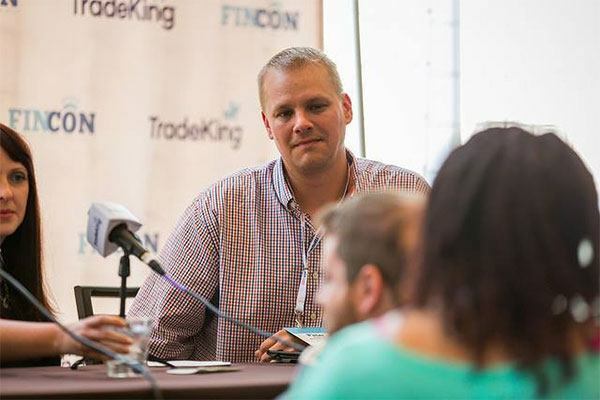 We are live from the Trade King Podcasting Stage at FinCon. 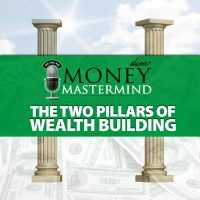 So today’s episode of Money Mastermind Show, we have Peter Anderson of Bible Money Matters, we have Tom Drake from Canadian Finance Blog and I am Miranda Marquit from Planting Money Seeds. We are missing two of our compadres today, Kyle Prevost of Youngandthrifty.ca had a delay in his flight so instead of coming in right now, he’ll be in when this is over and Glen Craig from Free from Broke is not with us today. He has a fancy new job a state away from FinCon. Today, we’re going to talk a little bit about financial experts. What makes an experts and are some of these gurus wrong sometimes. Why are they considered experts if they are wrong, what makes an expert? I know that sometimes I have a hard time because I don’t have a credential. I don’t have a money credential, I’m not a financial planner, but I write about money and I’ve been doing it for nine years. So a lot of the time, even though I’m not really an expert, I feel like an expert but then I don’t feel like an expert. It’s very confusing. It’s an existential crisis. Let’s go ahead, what do you think Peter makes and expert? [0:01:25] PA: Well, to me what makes an expert is really just somebody who knows more than I do that knows any given topic but typically, it’s going to be someone who has expertise and skill and experience in certain niche area maybe to the extent of knowledge on the subject of expertise based on research and an occupation in a particular area, licenses, degrees, certifications, those types of things but really, they have something that gets them some credibility. [0:01:56] MM: That’s right, well we’re going to go ahead and find somebody from the audience to come up so come up here Alan. Come up here join us on stage, yep, right over there. [0:02:02] AS: Hello, I’m Alan from the audience. [0:02:04] MM: Hi Alan. So tell us Alan, what is your site first of all. [0:02:08] AS: The site is realmoneylife.com. [0:02:11] MM: Awesome, so we were talking about financial experts today and what do you think makes a financial expert? Do they need to have credentials or do they just need to know their stuff? [0:02:20] AS: Yeah, you know what? It’s like everything else. Everything else concerning teaching and learning. When you look for a good teacher, they need to have basically three qualities. One is they need to have knowledge. They need to have some good basic knowledge about what it is they’re talking about and number two, they need to have a passion for it. They need to have some emotion in it. They need to care about it. Now, those two by itself sound great, right? It’s not enough. Without the third one forget it. The third one is they have to care about you. If they don’t care about you, if they have no compassion for you as a person, you can learn something from them but don’t ask them question about your life because basically they don’t care. So if they care about you, if they care about the subject and if they know about the subject, you have somebody good. [0:03:13] MM: So there we go. So it’s really not about credentials, it’s more about a knowledge and the passion and the caring, that caring. [0:03:21] AS: Well, the credentials could go into the knowledge of knowing. It could be proof that they know something but that doesn’t mean that they care about you or that they care about it. [0:03:30] MM: Okay, that’s a very good point. Thank you Alan. [0:03:32] AS: You’re so welcome Miranda. [0:03:35] MM: So Tom what do you think? What, in your mind, makes a good financial expert? [0:03:40] TD: Well, I also agree to that. I don’t think that credentials matter as much. Maybe we’re biased a little bit because we’re bloggers. [0:03:45] MM: Right, we don’t have any — well, you’re a financial analyst so you actually have sort of credentials. [0:03:49] TD: Sort of, it’s a corporate world instead of personal finance but some of it transfer over but I think what makes you an expert is establishing that credibility over time. 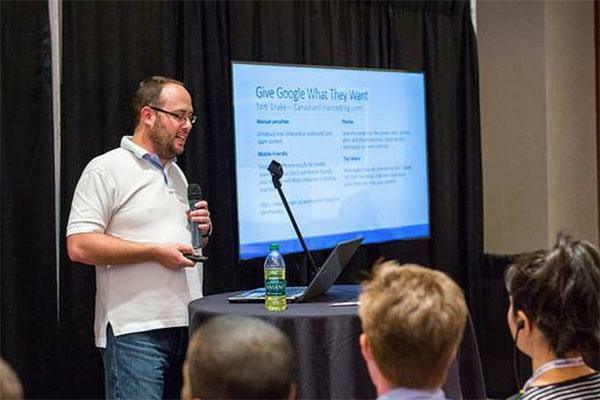 If you’re a blogger, one blog post doesn’t do it but after a while, you get known and you might get some media attention. That certainly helps. It’s almost more in branding and knowledge than it is actual credentials. [0:04:11] MM: I think that makes good sense. I think that’s interesting that you mentioned branding. A lot of the time when we see financial experts, we see them branding themselves and getting out there on TV and talking about things and trying to position themselves. Where does that fall for you with choosing an expert? What do you think about that Peter? Are you really paying attention to that branding? Does that matter? [0:04:32] PA: Yeah. I think a lot of people would go with just a brand. Anybody can call themselves an expert and brand themselves as an expert, it doesn’t necessarily mean that they are an expert. I like a quote from Mark Twain where he said he defined an expert as an ordinary fellow from another town. [0:04:49] PA: So basically, maybe you are not familiar with them but they say they’re experts so they are, whatever but it really goes to the idea that experts are great and they can teach you a lot. It’s good to seek out experts on personal finance like we do or whatever the topic might be but you can’t let that be an excuse for not thinking yourself. You have to take what they’re telling you, the research they’re giving you and think about yourself. Do your own research and take it with a grain of salt. [0:05:19] MM: Where do you stand at Tom? How do you feel about doing that? I think Peter makes a good point about how you don’t want to just take it and mindlessly follow what they tell you. Do you ever do that sometimes like listen to something that a financial expert or a guru has told you and just tweak it a little bit? [0:05:36] TD: Well sometimes it’s hard not to listen to them because of that branding. If someone is just so well known as an expert in something, it’s hard to not trust in them a little but you certainly want to take it like a grain of salt on what you’re actually hearing. Sometimes people get outside their expertise and start talking about other stuff like 12% returns and stuff that doesn’t always apply under their regular expertise. [0:06:04] MM: Well isn’t 12% returns normal right? [0:06:08] MM: Every year, solid all the time. [0:06:11] PA: Yeah and that really comes to it too when you are looking at experts for your information advice, you need to know what they’re an expert in. You need to know that Dave Ramsey, he’s really good with budgeting and debt. Some of his investing advice maybe isn’t the greatest all the time. It’s the same thing for Suze Orman maybe she’s good on budgeting and stuff like that but again, maybe investing is not her forte. [0:06:32] TD: Or debit cards. [0:06:33] PA: Or debit cards and credit cards. [0:06:34] MM: Debit cards, apparently right. Exactly and I think that that’s something that one of the guest of our show, Joe from Stacking Benjamins brought up once. I think he was on the talk about that one about his white paper and talking about what Peter mentioned. That sometimes the guru is not for you and you need to figure out where you’re at in your own money situation before you decide who you’re going to follow. So now that we’re talking about gurus a little bit, Tom, tell me do you have a favorite financial expert or a favorite financial guru? Who is it? [0:07:05] TD: Well, I got a Canadian one that got me interested was David Chilton who wrote The Wealthy Barber. It’s very basic, it’s very beginner at that point, I was literary getting interested in my personal finances. So someone like that, like you said at this freaking stage was perfect. It was written almost like you’re reading a novel not a self-help book. [0:07:32] MM: That makes it interesting so I think that’s engaging. Did it make you want to learn more about money and how money works? [0:07:38] TD: For sure, from there I went on and started reading blogs and everything and finding little pieces of information in 500 words kind of thing. It tackled one little thing and I found that more actionable in the long run. [0:07:51] MM: I think that you make a good point though too, it’s something that you want that’s actionable. A lot of the times, we get these gurus out here and it’s like a “rah-rah” kind of thing and you don’t really want to just feel like, “Oh hey, I can do this”. You really want some step by step thing that actually tells you how you can do this. What about you Peter? Do you have any personal favorite financial expert or somebody that you like? [0:08:15] PA: Well, I think even though I just put him down, Dave Ramsey is always been a favorite of mine. It will be a pleasure to meet him and in part, he’s what really got me into personal finance and got me thinking about my finances. I started my personal finance blog and right around that time, I was taking Dave Ramsey’s financial piece university class. While I got my investing advice, maybe he isn’t always the best. He is really good in getting rid of debt, getting a budget and getting your finances in order without making excuses. So I went through that class and I really enjoyed it and since then, I actually had the chance to talk to him on the phone. It was a fan boy moment for me so I have to say Dave Ramsey. [0:08:55] MM: Sherrian Crumbley, Sherrian tell us quickly what’s your blog? [0:08:59] SC: Well we have two blogs. The first is knsfinancial.com and the other is fatguysskinnywallet.com. One of my favorite financial experts, okay will say Bob from Christian PF. [0:09:12] MM: See now, we’re getting some love out here to the other bloggers. Why do you like Bob? What about Bob makes you want to read him and follow his advice and do everything he says? [0:09:23] SC: I think Bob’s laid back style, he’s just very simple. He makes things extremely plain and he makes it seem very easy to accomplish and I appreciate that. [0:09:34] MM: Very good, thanks Sherrian. So let’s get some other ideas about good financial advice. Khaleef, come on up. [0:09:43] KC: Khaleef Crumbley and my site is also knsfinnancial.com and fatguysskinnywallet.com. [0:09:48] MM: It’s like you’re married or something. [0:09:49] KC: Yeah. When you say expert. [0:09:53] MM: That’s what we’re talking about, it’s whoever you think is an expert. Do you think like a big guru, a branded guru, like his favorite is Dave Ramsey and he likes the Wealthy Barber and I haven’t shared who mine is right now. [0:10:06] PA: So you’re going to have to. [0:10:08] MM: And she likes Bob from Christian PF, so who’s advice do you think resonates with you? [0:10:13] KC: Honestly, when I think of someone who’s message is different, it’s Paula Pant and I don’t know if she would be considered an expert because she is a PF blogger. I always think of her tagline, “You can afford anything but you can’t afford everything,” and I think that so many of us miss that message that we think that we have to go through life trying to get 30% of everything that we can rather than pushing it 100% towards the things that we absolutely love. Then just maintaining or doing away with the things that don’t bring us too much happiness. [0:10:47] MM: Yeah and that’s always been one of my favorite philosophies too. So yes, so we’ve got Paula Pant from Afford Anything, very cool. All right, let’s see Harlan. [0:10:55] PA: All right, who’s up? [0:10:57] PA: Harlan, all right. [0:10:58] MM: Harlan is going to tell us. [0:11:01] MM: Who is your favorite? 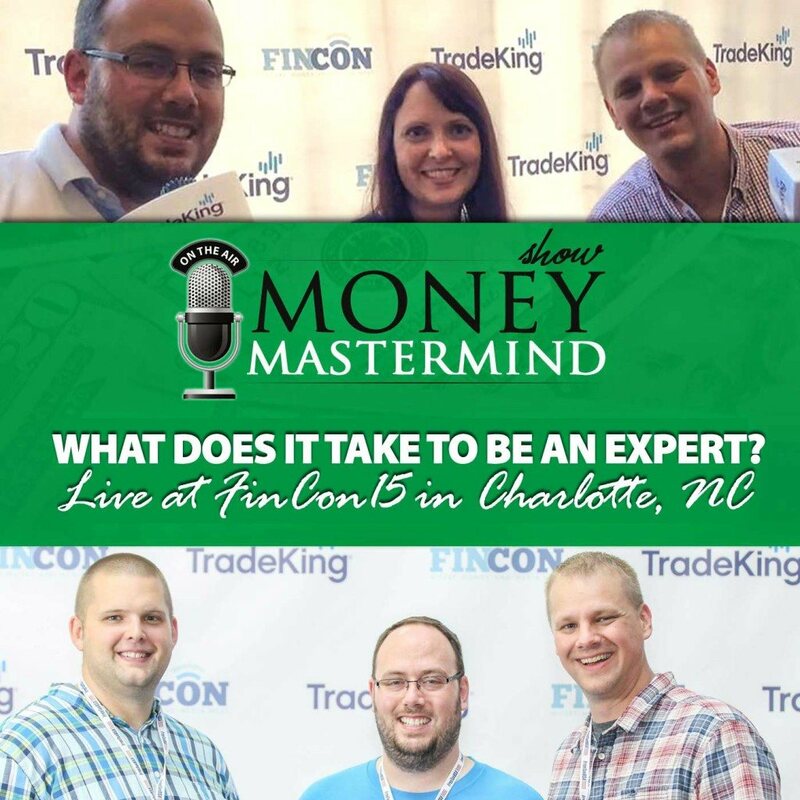 So first, tell us who you are and what you’re doing and who your favorite financial expert is? [0:11:24] MM: Who is your favorite financial expert? [0:11:25] HL: The financial expert, well I’m going to say something interesting. It’s probably not someone most people would consider a financial expert. [0:11:34] MM: That’s perfect, do it. [0:11:35] HL: This is someone who said something to me at a time in my life where I needed to hear something that would change my life and that is my dad. [0:11:45] MM: See? Very good. [0:11:47] HL: He said to me that I needed to get my life in gear after I went through a series of very unfortunate events in my life and I ended up moving back in with him and his new girlfriend and so, I needed to hear what I needed to hear. He said the right thing at the right time and he’s an expert to me. [0:12:06] MM: I think that’s a very good point, we’re talking about that earlier about how sometimes financial experts don’t have big credentials but they can still be very helpful. Let’s go to Brian. Hi Brian. [0:12:17] B: Hi, how are you? [0:12:18] MM: Doing well, how are you? [0:12:20] MM: So why don’t you tell us what’s your site. [0:12:22] B: My site is Simple Financial Lifestyle. [0:12:23] MM: And who is your favorite financial expert? [0:12:25] B: You know, that’s a good question. Most of my financial information that I’ve learned throughout my life is my parents. So I would say that’s been my financial expert who’s actually helped me a lot in my life to do this with me. So from an investment standpoint, I think Warren Buffet. He’s a value investor. He’s the one that kind of looks at something that’s undervalued and trying to add some value to that. So I would say those are the two individuals. [0:13:07] MM: That’s awesome. So I think that both Harlan and Brian made good points that sometimes your experts are people that you know in your life. So what do you think about that Peter? Do you see that in your life as well? [0:13:20] PA: Oh yeah, of course. You know what? I had written down here that some of the first experts that we see in our lives are our parents. First it’s our parents, then we see our teachers and if we’re not careful, however we can fall prey into what often David Freedman calls the Wizard of Oz effect, that there is always somebody smarter than us and that makes it so we just accept what people say and add face value without ever looking into it ourselves. Those first experts we ever see is our parents. That’s the first people that we see and that we look up to and we believe that they have the expertise. [0:13:57] MM: That’s awesome. So now we’re going to get a little dark. We’re going to talk about bad financial advice because sometimes experts tell us things that maybe aren’t the best idea and so we’ll go ahead and start with you Tom and then we’ll start pointing at people in the audience again but we’ll go ahead and start with you Tom. Tom, what is some of the worst financial advice you have ever heard? [0:14:18] TD: That’s a good question. I think I already probably gave it on the show with the making someone think that they can get returns that they can’t but anytime that someone is saying something that sounds almost too good to be true is the same with any make money fast kind of statement. It doesn’t always work that easily and anytime that people are just reaching a little too far with their statements is not always disastrous advice but it’s just useless advice. [0:14:46] MM: Right and I think that’s a good point. Sometimes, it’s not actively harmful but it’s really not helpful either. So Eric, welcome to the show. [0:14:56] MM: So Eric, go ahead. Tell us where you’re from? [0:14:58] EN: I am from, where I live? [0:15:01] MM: No, where’s your site. [0:15:02] PA: We don’t need your address. [0:15:03] MM: We don’t need your address. [0:15:05] EN: Oh because you know, people can’t tell if I’m from New York or from Jersey apparently, so you know, I thought I’d make sure. [0:15:11] MM: Well I wasn’t the one who said you’re from Jersey that was someone else. All right so, tell us what’s your site? [0:15:17] EN: My site is Dollarversity. [0:15:19] MM: Okay and your other site? [0:15:20] EN: The site I’m building is Entreportunity. [0:15:25] EN: Yes, that’s the entrepreneur side of the original concept of my planning. [0:15:31] MM: All right, very cool. So, the fun thing about having Eric on right now is he has actual real credentials which is super fantastic. He’s an accountant. So Eric is going to tell us the worst advice he’s ever heard. What is the worst financial advice you’ve ever heard? It could be from an expert or somebody, we’d love it if it was from an expert but even if it wasn’t, what’s the worst financial advice you’ve ever heard? [0:16:30] MM: That’s interesting, yeah. The tax thing is a really big one that can hurt you in the very long run. [0:16:35] EN: Yes, because not only can it hurt you in your pocket by having to pay extra taxes now, then down the road if you get audited and they find that you did screw up or somebody screwed up on your behalf, then they could come back for you for penalties and interest and that’s never a fun thing. [0:16:54] MM: No, no it’s not. I’m looking for a new accountant right now, well you know this I talked to you, because my last accountant messed up, could not handle the two different states that I have last year for my taxes, totally messed it up and I ended up owing an extra $1,200 and even after I looked through, I went, “Oh,” and part of my problem was I trusted his expertise and I didn’t go through my tax return like I should have before letting it just be off because it’s a busy time. [0:17:24] EN: I’ll tell you, I actually turn down clients if they are in a situation like that especially in California where everything is taxed on every level and not everybody has that self-awareness to say, “Hey, I don’t know enough about this, so charge somebody to do it for them and that gets people into trouble too and it also gives some industries a bad rep. Where you have a lot of people that say, “Hey, you know my tax guy he got me a $5,000 refund and I only paid in $200 during the year”. [0:18:02] MM: Oh man, that’s not right. [0:18:04] EN: So you have to be careful especially when it comes to taxes or anything involving your money. [0:18:11] MM: That’s a good point. [0:18:12] EN: You don’t want your money being screwed with. [0:18:13] MM: No you don’t. Thank you Eric. All right, Kirk tell us where you’re from and what is the worst financial advice you’ve ever heard? [0:18:24] KC: My name is Kirk Chisholm. I’m from Boston, Mass. I’m a wealth manager. It’s hard to say what’s the worst advice, I’ve heard a lot of really bad advice. I would say maybe that whole life insurance is an investment. That maybe is some of the worst advice I’ve heard. [0:18:38] MM: And all the insurance agents are now coming for you, coming for you head. [0:18:42] KC: I’m licensed to sell insurance and I don’t do it so. [0:18:44] MM: Nice. Well there are days that I think that maybe I should license, it’s not very hard right? [0:18:50] KC: No, it’s actually quite easy, yeah. [0:18:52] MM: Now we’re really, shredding, dangerous ground. [0:18:53] KC: Actually surprising a lot of the test that you have to take to be licensed are quite easy. I think the one to be the 65 to be a registered investment adviser and investment adviser representative is actually one of the easiest but the insurance is quite easy as well. [0:19:10] MM: So now, this brings up something I’ve wondered about because a lot of the time, right now my parents are telling me, “Oh my insurance agent is my financial planner now” and does that make sense? Is that the sort of expert that you want to be your financial planner at the risk of having all the insurance people hate us so much, really is that the sort of expert you should be turning to, the expert you should be turning to for you money? [0:19:39] KC: How much time do you have? [0:19:42] MM: Well, let’s see. [0:19:43] TD: We’re doing good. [0:19:44] PA: 40 more minutes, we don’t mind. [0:19:45] MM: Keep it going, yeah, go. [0:19:46] KC: All right, I guess I will say it like this, the funny thing about the financial field is there are many different titles and there are many different licenses that you can get and unfortunately, the title of financial adviser is meaningless. You could work at a gas station and you can call yourself a financial adviser. [0:20:03] MM: I could be a financial coach. [0:20:04] KC: Right, there is no title designation. You can be licensed or unlicensed, you can call yourself financial adviser. It just doesn’t matter and unfortunately, I think a lot of the professionals use that to the detriment of the investing public because they are deliberately vague about the description of what they’re doing. I heard a story at one of these conferences a few years ago that there was an insurance agent in the Midwest who apparently is one of the most successful by in terms of sales with insurance agents who had their investment advisers licensed so they could sell more insurance. Maybe they are providing a value but I just don’t think that’s right if you’re doing things to somewhat deceive people. [0:21:04] KC: And I’m not saying they’re providing bad advice. It doesn’t seem as a transparent as they probably should be. [0:21:10] MM: I think that is an interesting point when you talk about the confusion because everybody has these different qualifications and all these letters behind their name and the more letters you can throw behind your name, the more impressive it looks but maybe it’s not always best. But when you really come down to it, you realize well actually these things are incorrect because of this reasons. That is something that people don’t understand unless they have experience. People who are investors or let’s say like a hedge fund investor, they’re not successful because they got their CFA, they’re successful because of experience, because of wisdom and things like that. In my opinion, that’s more important than getting a designation and in all my years that I’ve been doing this, I’ve been doing this for 16 years, I’ve only had one person ever say unless you have a designation, I will not work with you. Only one. So I don’t know if the investing public really cares about the designations. [0:22:29] MM: That’s interesting. All right, so Steve go ahead. Tell us where you’re from and tell us your site, so my bad. [0:22:36] SC: Yes, so I am from Mountain View, California. 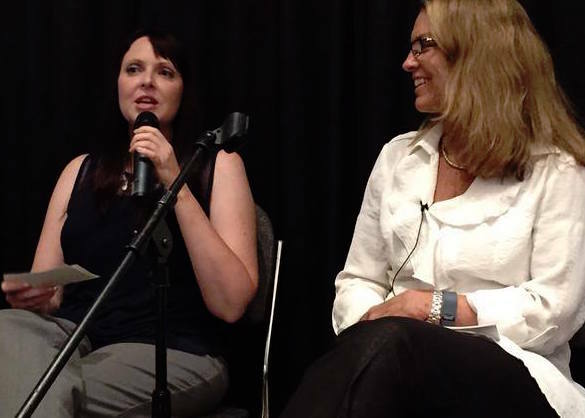 The site I run is mywifequitherjob.com where I mainly write about entrepreneurship. I would say the worst advice that I ever got was from an investment adviser who actually told me to put all of my money into stocks and it was at like the worst possible time and I ended up losing a lot of money and I didn’t feel comfortable putting all my money into investments at the time but he kind of guilted me into it. [0:23:05] MM: Nice, so that’s interesting. Going back to what we were talking about before this, that sometimes the advice given isn’t that great and sometimes, you have to be comfortable with it kind of what Alan was talking about before that you need to be comfortable with what you’re feeling and the person who is advising you should be somebody that you’re really decided in the long run. [0:23:25] SC: So here’s the thing. It was a recommendation. It was a family friend which made it even worst. [0:23:29] TD: That’s the worst. [0:23:30] SC: Actually a very close family friend who just happen to do investments and I didn’t feel like I could say no because she was such a good family friend. [0:23:40] MM: Oh, that’s rough. [0:23:41] PA: That makes it tough, yeah. [0:23:43] SC: There is a good lesson in itself actually. You should never work with anyone that you’re related to, I think? [0:23:48] MM: That’s right. What do they say? The people you should never take investment advice, family members and co-workers. Those are the people that you should never take investment advice from. [0:23:56] PA: You keep hammering away with this but I think far too often, people just blindly follow experts because they feel like that person knows more than they do and the problem is, far too often experts are just wrong. If you look at studies, as much as 90% of physicians, medical knowledge has been found to be substantially and plainly wrong overtime. [0:24:17] MM: Wait, wait, did you just say medical? [0:24:20] MM: Oh my gosh. [0:24:21] PA: And there is a one in 12 chance that a doctor’s diagnosis will be so wrong that it causes the patient significant harm so these are some pretty big experts, doctors. That’s somebody you trust to always get it right. You could go on from there, experts in other fields. Economists, they are shown to be wrong time and again. So you know I am coming back to the point where we need to look at experts to find out things that we don’t understand or don’t know about but then we need to do our own research and not just blindly follow the advice. [0:24:51] MM: Going back to people we should never take advice from Tom, tell us is there anybody other than co-workers and family members who you would never take advice from or is that pretty much it? [0:25:01] TD: It’s not so much as a group like that who I wouldn’t take advice from but kind of like what Steve was saying is you want to pick somebody that actually knows what they’re doing and getting a referral just because someone knows someone or someone is related to someone, that’s not the kind of credentials you’re looking for. It doesn’t have to be the letters after the name but you want to do proper research and actually pick someone that’s going to help you not just simply be a relative or anything like that. [0:25:33] MM: Yeah, that’s a really good point. We too often get caught up in these kind of affinity situations where we have this connection with somebody and we think, “Oh well, I could trust them because they belong to my church, or they belong to my family or they belong to my civic club,” and really, that’s a kind of advice you’re not really looking for. [0:25:50] TD: That’s not the level of research you want, right? [0:25:52] MM: That’s right but hey, we’ve got a couple more audience members who have joined us. It’s super fantastic and we’re talking right now and Scott’s here too. All right, so we’ve got these audience members who joined us and we’re talking about financial advice. [0:26:05] PA: Who wants to talk? [0:26:06] PA: Grab the mike. [0:26:09] PA: We won’t bite. [0:26:10] MM: Right now, we’ve talked about poor and bad financial advice but now we’re going to talk about good financial advice so what is some bit of good financial advice that you’ve heard and that you have used in your life? Oh first of all, tell us who you are and what your site is. [0:26:30] LJ: Okay, my name is Linda P. Jones. I’m with Be Wealthy and Smart, bewealthyandsmart.com. You know I take a little bit of a different approach because a lot of my own advice not only was in the industry for 30 years but a lot of my own advice is from my own wealth building and so, some of that tends to be a little bit non-traditional and I’ll share that with you because we’ve heard traditional advice so maybe this will sound a little bit different. [0:26:54] MM: All right, let’s do it. Let’s hear it. [0:26:56] LJ: So, one of the things that I think is really limiting in the financial world is that we’re so stuck on looking in the rearview mirror. We’re so stuck on where have we been, what is the track record of what we’re investing in and right now, I feel like asset allocation models are really broken. [0:27:12] MM: Well that’s interesting because that’s like the thing right now. [0:27:16] LJ: Yeah, they’re completely broken because we typically would go from moving from stocks into bonds and moving a larger percentage of our portfolio into bonds as we get older but because the bond market, the rates are near zero and there’s only one direction for interest rates to go, we know that there’s going to be losses in bonds especially long term bonds in the future. So it really limits how people can provide that protection in their portfolio and that easy income that they used to get that was providing a buoy for the retirement that it really doesn’t exist anymore. [0:27:54] MM: That’s a really good point that we have to shake things up a little bit. Do you think that sometimes we get too complacent with where we’re at as far as financial bloggers are concerned or the financial industry is concerned, do we get too complacent and stuck in one thing that we think works well? [0:28:11] LJ: I think we do. I think we get stuck in what’s happened in the past and not really looking at, “Gee, we’re in a unique space and time right now. We have a government that has $18 trillion in debt. We’ve never been in that in our generation or anyone whose alive I don’t think has had that happen before right? Money flows, moving with currency issues. We have other countries that have been in debt so they have currency issues and debt issues. We have this interest rates that have been held down at lows and we’ve never seen that in our life time. So we’re at this unique turning point where yes, we as financial experts get into the just dollar cost average and everything is going to be fine, that’ me. [0:29:01] LJ: But what happens if we do have a repeating cycle like after 1929 where we don’t see new highs until 1944? What do we do? So, we really haven’t addressed what are the different things that could be happening in the future. We’re just going along like everything is normal and it’s not. [0:29:21] MM: That’s an interesting take. So what do you think about that Tom. Do you think that sometimes we need to get out of the box a little bit and stop getting caught, we’re all running around preaching to the choir a lot of the times, so do you think we need to shake things up a little bit sometimes? [0:29:39] TD: Well, it was interesting with asset allocation. I’m not a big fan of bonds maybe because I am still young enough right now anyways but also because of the returns that they have. So I’m completely stocks and I will probably stay that way longer than I should according to most of the stuff we read. So yeah, I agree that it’s a little different world than 20 years ago. [0:30:01] MM: And because we love predictions, do you think that the stocks are going to be a good thing to be in for the future. Do you think they’re going to work out? [0:30:11] TD: I think so. I’m always a big fan of stocks. I like them to be lower right now so that I could buy more but you can’t control that either but yeah, I don’t know. I’m fully into stocks whether it’s indexing or dividend stocks directly but completely stock market. [0:30:30] MM: That’s a good point. That’s a little bit different too. A lot of the time, we don’t think about, “Hey, let’s just do some stocks all the time.” So we’ve got another guest with us to talk to you about financial experts. [0:30:39] JS: Move over Miranda. [0:30:41] JS: Watch out. This is my show now. [0:30:43] MM: That’s right, Joe is here and he’s going to do Stacking Benjamins. [0:30:48] MM: So Joe, what your site is, which we already know, Stacking Benjamins so never mind and tell us what is the worst piece of financial advice you have heard? [0:30:58] JS: Wow, you know what? I can’t think of one. I’m not that quick on my feet but I’ll tell you this, it’s usually when we have a rule of thumb. Just being a guy that was a financial adviser for 16 years, most rules of the thumb drive me crazy. Okay, here it is, invest your age in bonds. Has anybody said that one before? [0:31:21] PA: Now I know, never mind. [0:31:21] MM: What he’s talking about acid allocation. [0:31:24] JS: Invest your age in bonds is the dumbest thing I’ve ever heard. Like what is that based on? It’s not based on your goal, it’s not based on when you need the money, it’s not based on anything, it’s, “You’re getting older so maybe you need more bonds.” No, you don’t. How’s that? [0:31:36] MM: So what you’re saying is your financial plan should reflect what you actually want to do with yourself? [0:31:41] JS: Isn’t that crazy? [0:31:42] MM: I know, its nuts, you are so crazy. [0:31:45] JS: Who’s thought of that? That’s the weirdest thing I’ve heard Miranda right there, yeah. [0:31:49] MM: Thank you Joe. All right. [0:31:51] MM: Who’s up? Come on up. [0:31:52] PA: Come on down. [0:31:53] MM: Come on down. All right, welcome to the Money Mastermind Show. [0:31:57] PA: Thanks for having us. [0:31:58] MM: Yeah, so go ahead, tell us who you are, what your site is and what is the worst financial advice you’ve ever heard? [0:32:04] TM: My name is Tai. [0:32:15] TM: The dumbest, the dumbest and the biggest financial mistake that we made, the advice that was given to us was to take out a line of credit on our home, a HELOC, to then invest into investment real estate, which we did. So we took that $25,000 and we went out and got an investment property, we rehabbed the property. We listed the property back on the market and then the market crashed. [0:32:41] TM: And it was his idea. [0:32:43] PA: Bad timing to get. [0:32:44] TM: Yes and so due to that sound advice that I got from the professionals, we now had two houses that we were responsible for, two tax bills, two sets of utility bills and we were just newly married. [0:33:00] TM: At that time, we were pregnant. [0:33:01] TM: We were just newly married and a child on the way and two mortgages, thanks to that wonderful advice to take out money from our primary residence to go into an investment property. So we had an extra home for a year. [0:33:17] MM: So, just out of curiosity, you don’t have to name names or anything but what was the profession, was this like a financial planner, was this a real estate guru, who was this? Where did you get this advice? [0:33:28] TM: It was our friend/real estate guru. [0:33:32] TM: Because that’s the way everybody was getting properties at that time. It was the “other people’s money” was the way to go in real estate. Why use your money when you can use other people’s money? [0:33:42] MM: Yeah, I see. That’s interesting and it goes back to what Steve is talking about when he was taking advice from friends. So thank you so much for joining us and talking about that. [0:33:52] PA: Sometimes that’s a commonality with bad advice that people will get is that it sounds too good to be true. It really resonates. It sounds like it’s a really good deal but in the end if you actually look at it, it’s not that great of a deal. [0:34:05] MM: That’s right so let’s talk a little bit about these things that seem like a good deals and it might be sound advice but it really isn’t. So how can you sniff that out? How can you sniff out, Tom we’ll start with you Mr. Financial Analyst. How can you sniff out the bad advice? How can you see? [0:34:23] TD: I’ve got a list here. [0:34:25] TD: It came from David Freeman and his book Wrong: Why experts keep failing us. [0:34:29] MM: Oh okay, okay cue. [0:34:31] TD: He says some commonalities with bad advice, first of all that bad advice is often very simplistic and keep it very simple and it makes it sound very good, very easy to do. In reality, it’s probably not going to be as simple as it looks. Another thing is that it definite, it’s universal and it’s very certain of saying, “If you do this, this will happen” when in reality, maybe markets go up or down. It’s not as certain as they said and it finally, that it resonates. Often, the bad advice we’re given resonates more because it’s simplistic, certain and it tell us what we want to hear. So somethings to look out for. [0:35:07] MM: Yeah, so we have a couple more audience members up here. We’ll start with you Scott but the question we’re going to ask you is a little bit different. I want you to tell us who you are, what your site is and then tell us how can you see when advice that somebody is giving you is bad. We’re talking about financial experts and when the advice is good and bad. What’s a red flag to you? How can you tell when somebody is giving bad financial advice? [0:35:30] SM: Okay, good question. So my name is Scott Maderer. I coach over at Christianstewardshipcoaching.com and my wife and I do coaching together off of that site. For us, the major way that I think I can tell if advice is bad and it’s probably going to echo some of what was being said as I walked up, generally, it’s too simple, too straight forward. It basically sounds too good to be true. I mean if you even spend even two seconds thinking about it, it’s like, “Wait a minute, you’re selling me something because what do you sell on? It’s too easy.” I found as a general rule, the quick and easy solution is usually not the right one. It’s something that’s going to take a little more time, a little more thought, a little more effort, a little more work. So if it feels too easy, feels too good to be true, it probably is. [0:36:24] MM: All right, that’s great. Good to know. All right, so let’s go ahead. We’ll go to our other audience member, here you go. Tell us who you are, what your site is and what you look for as a red flag when you’re trying to decide whether some sort of financial advice is legit? [0:36:38] JG: So my name is Jessica Garbarino. I’m with everysingledollar.com and I focus on personal finance for single women specifically and I got myself out of debt just earlier this year. So I paid off $56,000 in debt. [0:37:05] MM: How did I miss out on that? [0:37:06] JG: When it feels slimy like I feel like I’m watching an infomercial at 1 o’clock in morning saying, “Use this strategies. You’re going to be able to get out of debt in two minutes,” and you’re like, “No, that’s not going to happen because it didn’t happen overnight for me getting into a bad financial position.” So again, quick and easy but also that slimy feeling that you feel like I need to take a shower or something after they pitch it to me so that’s my way. [0:37:34] MM: That’s a great point though because a lot of the time kind of what you’re saying and what Scott is saying before, a lot of the time if you step back and think about it, you realize that it’s just not the thing to do. I think we’re about done. Let’s go ahead and thank you very much. So let’s go ahead and we’ll go ahead and wrap it up a little bit. Let’s end with some one final thought from Tom. [0:37:59] TD: I like what she just said about the infomercial feeling. In defence of some of these experts that we’ve been all over here, I think some of the times, they make things sound really simple hopefully to get your interest. People like things easy most of the time and when they say something very simple and very straight forward, it’s not that you just do this one thing and you’re set. Hopefully, you get attracted to this expert and now you’re going to go a little deeper into what their actually saying and not just some little one line that they always use on the news. So that’s a little bit in defence of some of the experts. [0:38:37] MM: Yeah, not all financial experts are bad. We’re not saying that but we are saying you need to think about who you’re taking your advice from and think about whether it makes sense for you and then make that decision for yourself. [0:38:51] PA: Just think for yourself. Don’t let experts think for you. Don’t let your brain shut down when the experts start talking. [0:38:56] MM: That’s right. Until next week, be good with your money. 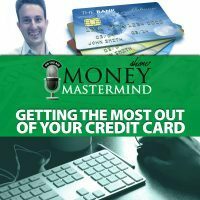 [0:39:00] ANNOUNCER: Thanks for joining us on the Money Mastermind Show, get more information at Moneymastermindshow.com. Don’t forget to subscribe to the show on iTunes and YouTube and follow us on Google Plus.